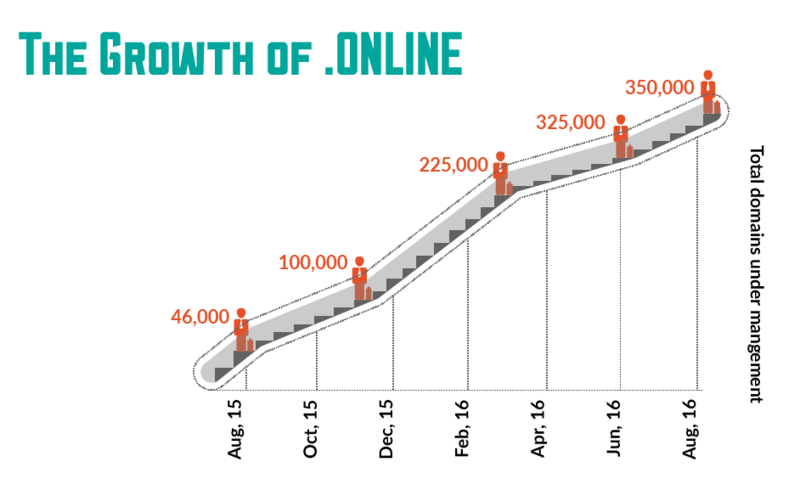 1) .TOP still number one – As you can see, .TOP takes a huge chunk of the total new gTLD registrations for the September. Taking a total of 53%, this definitely is the best performance by .TOP so far. 2) .XYZ stands at number two taking a comparatively lower share than last month’s report. They’ve continuously been our top 2 for the new gTLD report, not to forget that .XYZ & .TOP are globally leading the new gTLD registrations. .TOP has been running at a promo price of $0.49 for a while now and this surely reflects in the numbers. 3) .SITE at number three – If you’ve been following our month-on-month reports, you’ve probably noticed that this has been the highest position .SITE has taken so far. Radix’s new gTLD was just 0.3% behind .XYZ, the world’s most famous new gTLD. So kudos to you folks for making that happen! 5) .WEBSITE takes number five – 3 Radix TLDs in a row! That’s never happened before. In our last month’s report, .WEBSITE was at position 6 and managed to move a step above. This is because we were running a special promo for .WEBSITE in September at just $0.99, which was two dollars cheaper taking August and July into consideration. 6) .CLUB & .HOST enter the top ten – In our previous month’s report .CLUB and .HOST were at positions 14 & 15 respectively. They’ve shown a lot of promise and moved up to positions 6 & 7 for September. .CLUB was running at a promo price of $8.49 while a renewal promo for .HOST was on this September. 7) .ONE and .SHOP are our new entrants for this month’s report. .SPACE moves a few positions down while .TECH keeps it’s position for September as well.